A building inspection is vital to any successful house purchase. Today we look at how to manage your inspection when buying in the USA. Before you go getting waylaid by a picture perfect picket fence and the porch of your dreams, it’s important to have an expert take a closer look at your new home. Things may well look as pretty as a picture on the outside, but you need to ensure that’s not just a trick to distract you from rising damp. Today we’re looking at when and how to get your house inspected in the USA. The escrow period is when to have a building inspection. They will be able to determine whether the offer you made on the property is fair. 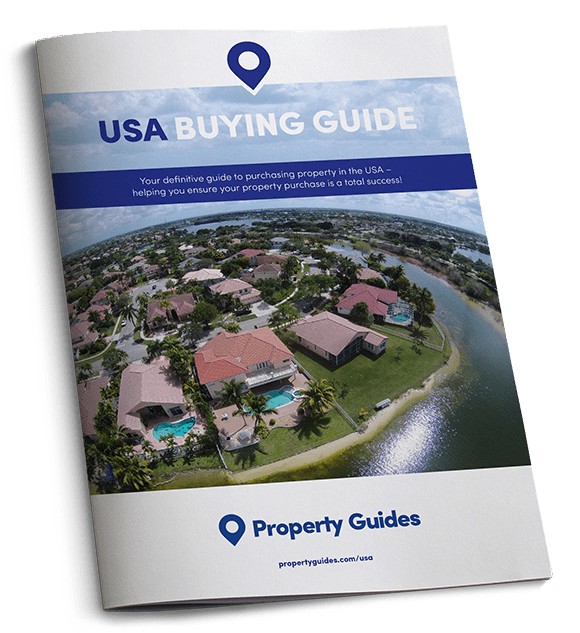 Buying a property in the US involves the same steps it does in the UK. You need to establish your budget, get pre-qualified for a mortgage (if required), find a real estate agent that you like and trust and then you can start shopping for your home. While it’s possible to conduct simple checks on the property while wandering around with your realtor – does the boiler work, do the lights come on when you flick the switch? – the more serious checks must be carried out by a home inspector. This stage comes after you have made an offer that has been accepted and you’ve moved into escrow. After you’ve made the offer, your closing costs will be paid into escrow. This means that a third party holds onto them until all the necessary checks are completed, the final contract is negotiated and you close the deal. While these funds are in escrow you can’t touch them and neither can the seller. It’s a system designed to protect the interests of both parties. If any problems do emerge in a survey, how will you negotiate for a lower price? Download our guide, How to Negotiate Abroad, for essential tips on how get a better house for your money. This escrow period is when you will have a building inspector come and look at the property. They will be able to determine whether the offer you made on the property is fair. The building inspector will establish if there are problems that might make you decide to bow out of the deal. They will also identify matters that the seller needs to rectify, or fix, before the deal is finalised. If something significant should show up, you can renegotiate the sale price or pull out of the deal entirely without being fined. Your realtor will help you to arrange this inspection, which should take place within a few days of the seller accepting the offer. When you make the purchase offer always ensure you clearly outline the timeframe for the buyer’s inspection period and give yourself a little leeway where possible. The buyer’s inspection period begins when the contract is accepted and will expire when stated in the purchase contract. Usually you get 14 days. The buyer is responsible for the cost of the inspection. How to find a good home inspector? Your real estate agent will have some good recommendations, as will friends and colleagues who have bought recently. We recommend checking that they are accredited, with the American Society of Home Inspectors or that they are a member of InterNACHI. Members of these organisations have to pass an exam and adhere to professional standards. You should also have a look at the reviews each candidate has online on sites like Yelp and Angie’s List. Call to chat to them and drop them an email or two – how they respond will be a good evaluation of their service. To get the most from your home inspection, plan to be present the entire time. The inspection is likely to last between two and four hours, depending on the size of the home, its condition and how many questions you ask. How much will a home inspection cost? You should expect to pay something in the region of $300-600 (£230-450) but this will vary depending on the price, size and age of the house. You may also have to shell out for specialist inspections. Depending on the US state that you’re in, you might need to have a wood infestation (termite) inspection. If they have recently been given the all-clear the seller will be able to provide you with a certificate. If your property was built before 1978, you will need to have it checked to see whether it was painted with lead-based paint. Your inspector will either be qualified to conduct these tests themselves, or they will be able to recommend someone else. Expect to pay in the region of $300-600 (£230-450), depending on the price, size and age of the house. Reputable home inspectors will offer sample reports on their websites that are easy to understand and well formulated. A good report will not only identify the problem, it will explain why it is an issue and what should be done to fix it. You should expect a report to include photographs. Ask how long after the inspection it will take to get the report through. Some inspectors will be able to provide you with the report then and there; others may take a day or two to write it up. If you are on a deadline you don’t want a tardy building inspector holding you up. Choose an inspector who wants you to be there while they conduct the report. Take up that opportunity, as it’s your chance to ask any questions, to ensure they’re thorough and to see any problems for yourself. In some states, home inspectors must have a license. Make sure that you get a copy of this and proof of their insurance documents. If something were to go wrong down the line, despite the home inspector carrying out their survey, these official documents will help you to make a successful claim.